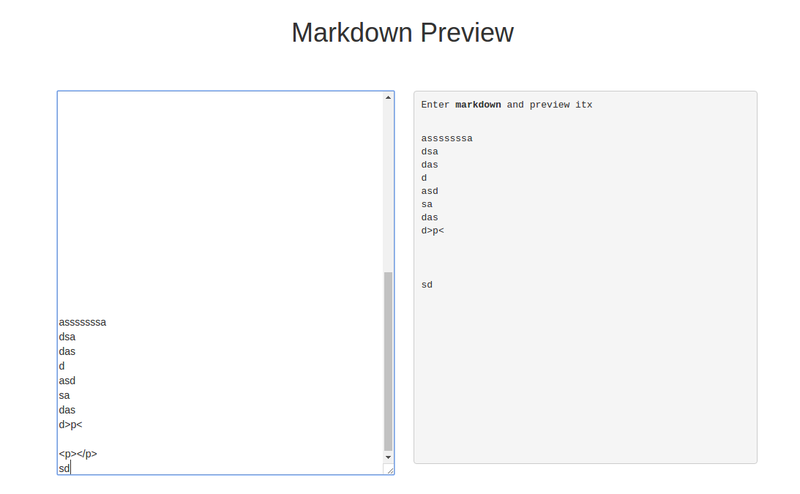 Let's discuss your "Markdown Previewer"
automatic scrolling. Found via stackOverflow. Lemme know if you have other suggestions!!! Awesome project. You simplified it so much and you understand React’s DOM abstraction. I went the other way, introducing a redux store, and all that jazz. My jaw dropped when mine actually worked on the first run with like 10 lines of code. That never happens! I shouldn’t be looking, i’m not up to this bit yet! Pretty happy to learn ReactJS and ES6, the first try of ReactJS feels great. Here’s mine: http://codepen.io/LarryMary/pen/ObyKKj?editors=0010. I got pretty lost trying to figure out how to pass information between components. Feels a little better now. Sass where ya been all my life? Next project I’ll use ES6. I’m worried about the fact that the initial content of <textarea> is hardcoded twice. Didn’t find the solution to avoid duplicating it. Any idea ? Thank you for offering critiques and feedback. Here is my solution, appreciate feedback! 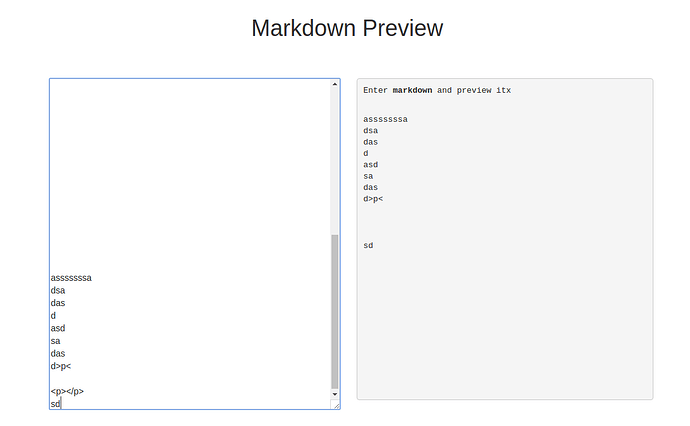 Very good, like the use of SCSS and the shades, it’s a nice touch. There is sanitize option in marked.js.